Located on the city side of Fairview/Annesley bridge thoroughfare, this recently renovated Georgian building offers large offices on each of four floor levels, ground floor, first, second and third. With private car parking to rear, courtyard, ladies, gents, shower room and fully fitted kitchen/canteen room, little more is required for a modern busy business or surgery. City centre bus corridor outside, close to Fairview Park, with on street parking for clients, this should tick all the boxes for any company looking for high end offices. 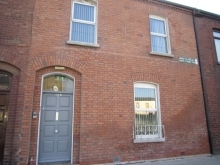 Ideally located on the North Strand Road accessing city centre via Annesley Bridge. 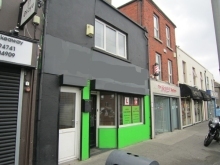 This property offers a preferred frontage for a business looking for office/reception needs in the Dublin 3 area. Two offices at the front, a kitchenette coupled with full bathroom to rear and on the main bus corridor. Please contact Craddock Estates for any data required or to arrange viewing appointment 01 8330517.